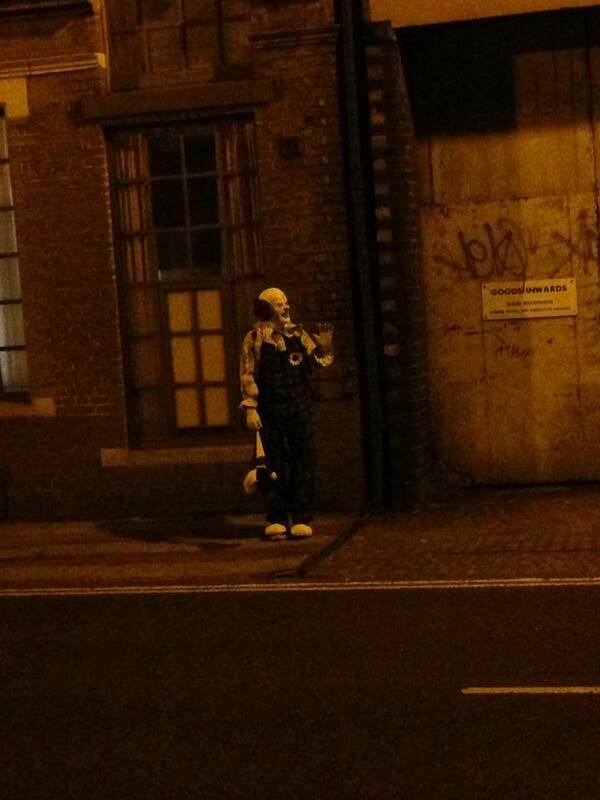 A Facebook savvy clown has been making mysterious appearances around the town of Northampton, England. Clowns are scary. It doesn't matter the kind, the source, or what they're doing; they're creepy creatures and we sincerely hope that that first person who thought it might be funny paint their face and dress in stupid clothes is rotting in some special corner of hell for all the terror that's been on their account. 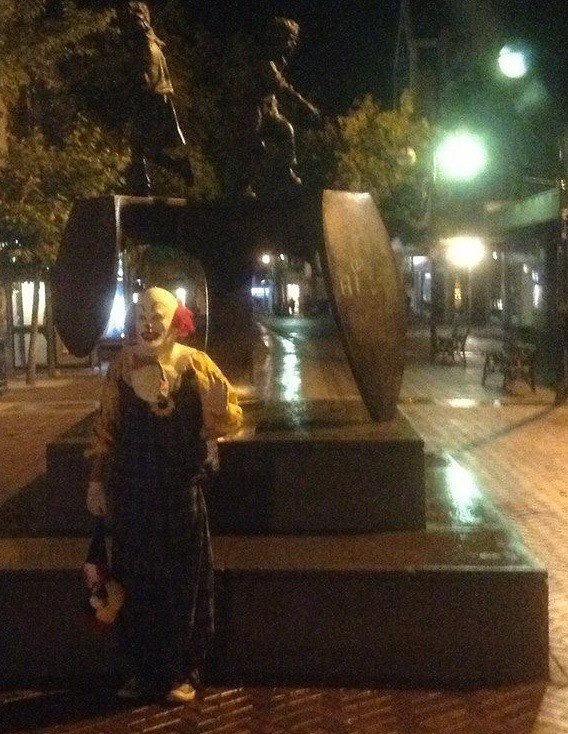 That in mind, the English town of Northampton has recently found itself terrorized by its own creepy clown. Well, "terrorized" might be a strong word for it. 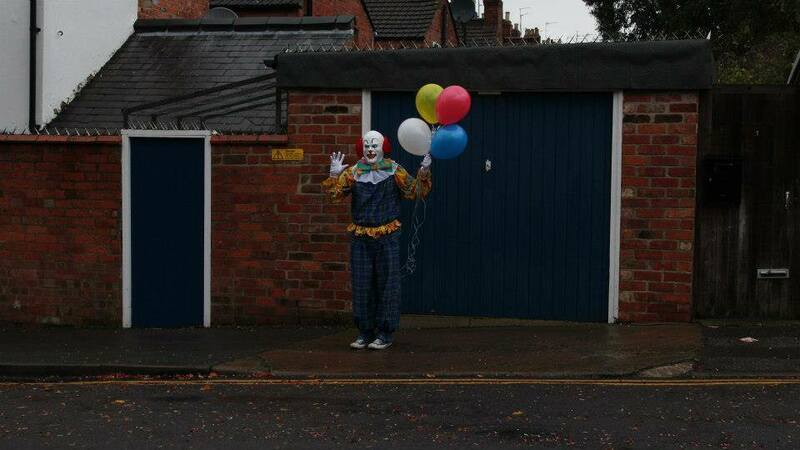 The clown has been spotted several times around the town just being generally creepy, often with balloons. Despite the fact that the proper course of action when dealing with clowns is to hide in your closet while clutching a sharp or blunt object, many people have actually been having fun with the whole shtick, sharing taking pictures and sharing updates about their personal sightings through Facebook and via Twitter (#northamptonclown). In fact, the Northampton Clown now has its own Facebook page sporting more than 77,000 likes. The clown itself has actually been fairly amicable on Facebook, denying rumors that it carries a knife and actively attempted to scare people by "knocking on houses and asking to paint window sills." Some Facebook users, in turn, have come to regard the clown's presence, which has brought Northampton some arguably welcome attention, as a positive thing. "I don't like clowns," offered Mark Rudkin. "But what you are doing for Northampton is quality." 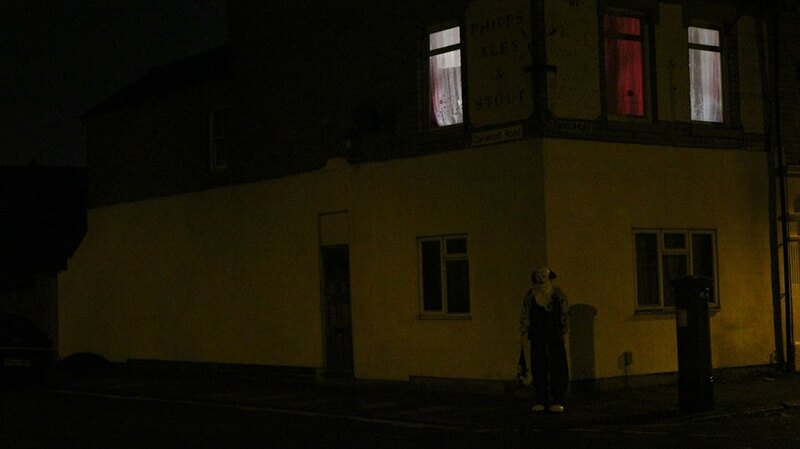 What do you think of the Northampton Clown? Is he a well-meaning diversion or a force of pure evil simply waiting for his time to strike.